One of the things I love about the area I live in is there’s an abundance of hardwood trees. Wind blowing through the leaves is one of my favorite sounds. My property has several large hardwoods I really love. I have a couple old oak trees I’ve even named “ArtisTree” and “PoetTree”. 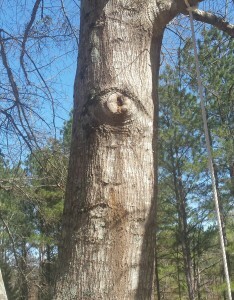 Both trees have faces on them as a result of large limbs fallen long ago. One face has a disgruntled expression and the other seems like a fairly serene, cyclops. Last year’s draught was tough on the area trees and plants. I think I only had the grass mowed twice last year since it was often more on the brown and crispy side than soft and green. My pecan trees produced the worse yield of nuts in the four years I’ve lived here and the pond was the lowest I’ve seen. Fortunately the winter rainy season has done a decent job filling the pond and igniting what should be a very green spring. Unfortunately, several trees died including a large cedar and one of my favorite trees, a giant oak in the front goat pen. 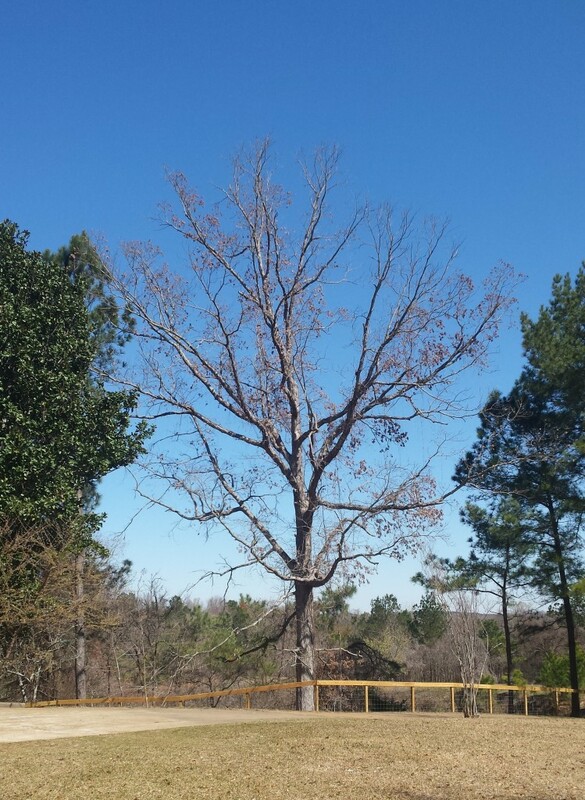 All summer I watched my beautiful oak tree dying branch by branch. By the end of summer it only had one small branch with green leaves and it quickly died too. I’m not sure if it was the stress of the draught that killed this beautiful giant but I’m sure it contributed to it. I was really hoping a miracle would happen and it would come back with the help of the rain but it didn’t. If there’s any silver lining to this at all it’s that a friend of my father’s sells firewood and offered to take the tree down before it falls on my new fence. Trees this size can cost thousands to remove so I’m grateful for the money savings. This is the first time I’ve felt sadness over a plant dying. I’m really going to miss it from my porch view and the animals will have a little less shade this summer. RIP big guy.